Goldco provides brokerage services for precious metals-funded IRAs and assists in rolling over traditional retirement accounts into a Precious Metals IRA. They also buy back the physical precious metals or sell them through the metals market when a client begins distributions from their IRA. Goldco offers brokerage services for precious metals IRAs, one of the newest types of IRAs available to consumers. As with other IRAs, precious metals IRAs can be part of a diversified retirement portfolio and should be approached with care and consideration as with any part of retirement planning. Goldco Precious Metals, commonly referred to as Goldco, is a precious metals firm based in Woodland Hills, California and was founded in 2006 to provide self-directed precious metal IRAs funded by gold, silver, platinum, palladium, or a combination of these metals instead of traditional investments in stocks or bonds. This type of IRA investment was made possible by the Taxpayer Relief Act of 1997 which made exceptions to the collectibles rule for a few specific bullion types and specific qualifying coins. While Goldco is the precious metals broker, they work with IRA custodian companies and customers to create new accounts and provide rollover services for those wishing to transfer IRAs from other companies or financial institutions into self-directed precious metal IRAs. Investing in a Precious Metals IRA can be an attractive option to consumers who feel that there is too much volatility in the stock and bond market. Precious Metals IRAs also appeal to those who want a tangible item for their investment rather than a percentage of a company that may change in mergers, or the company itself may disappear. Goldco provides brokerage services for precious metals funded IRAs under Internal Revenue Service rules. They also buy back the physical precious metals or sell them through the metals market when a client begins distributions from their IRA. However, Goldco does not provide custodian or storage services although they will assist clients in setting up such services through their recommended vendors. Goldco stands out for its national recognition and impressive growth. Ranked in 2015, 2016, and 2017 by Inc. Magazine on their Inc. 5000 list of the 5000 fastest-growing private companies in the country, Goldco ranked 670th in 2017 with a growth rate of 676.77 percent and revenues of $89.5 million. Current Goldco customers are overall positive in their reviews of the company’s customer service and the products it provides. ConsumerAffairs shows an average of nearly five stars out of five for Goldco from 142 reviews and the BBB shows an average of five stars from 12 reviews. In particular, customers seemed happy with the way Goldco handles all of the paperwork of the purchase itself between the IRA custodian and the storage facility to complete a transaction without the customer having to contact multiple entities. 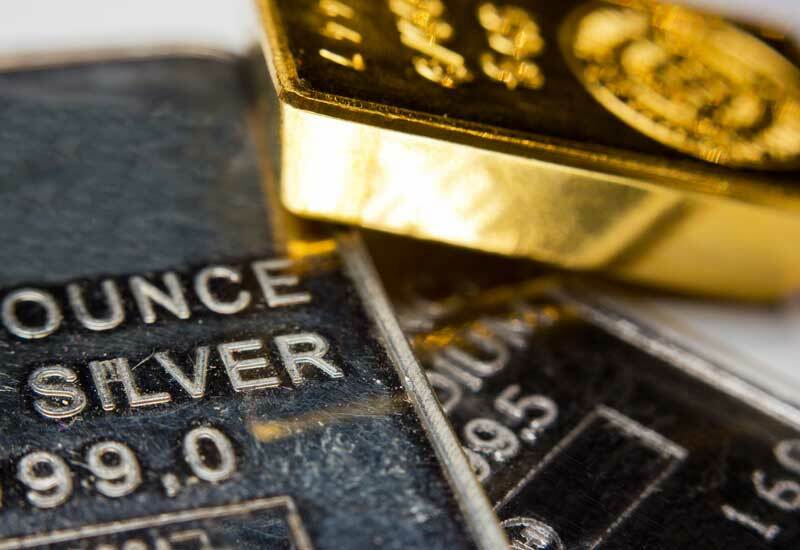 The majority of the few negative reviews revolve around the misunderstanding of the nature of the precious metals market and how values are calculated. For example, the most common complaint found relates to collectible coin value. When collectible coins are purchased, their listed value in the IRA is the melt value, that is, how much the melted metals would be worth. This leads to confusion in many cases until Goldco explains to the customer that the coin value is separate and does not reflect the current market value of the coin as a solid coin. As a result, some of these negative reviews are later amended to higher ratings once the customer understands the paperwork better. Gold IRA – Goldco provides information on opening a Gold IRA, including which metals you can invest in. Silver IRA – If you’re unsure about how to start a Silver IRA, Goldco offers tips on how to get started, which silver coins are accepted and more. 401(k) Rollover – Goldco offers help rolling over your traditional or other type of IRA into a Precious Metals IRA. Traditional and Roth IRA Planning – Goldco offers resources and a knowledge base comparing a Roth and a Traditional IRA and can help you get them rolled into a Precious Metals IRA. SEP IRA Planning – If you need clarification on SEP IRAs, Goldco provides things like information on eligibilty requirements and contribution limits. Simple IRA Planning – Goldco explains how to open a Simple IRA and how the rules work for a gold and silver Simple IRA. Goldco does not list their costs and fees on their website but a company representative told us that their recommended minimum purchase is $25,000. At an investment of $25,000, Goldco will reimburse storage fees for one year in the form of an amount of like-value silver shipped to the account owner. It is important to note this silver is not part of the account holder’s IRA and the account holder must pay the storage company fees up front. Also, at the $25,000 investment level, Goldco’s fees are $175 annually. For each additional $25,000 invested, Goldco will ship silver in the value of another year’s worth of storage fees to the account holder. Goldco’s fees do not increase until the $100,000 investment level is reached, when fees increase to $225 annually. Storage Fees Depends on Custodian. of “like-value” silver, not to be included in IRA holdings. 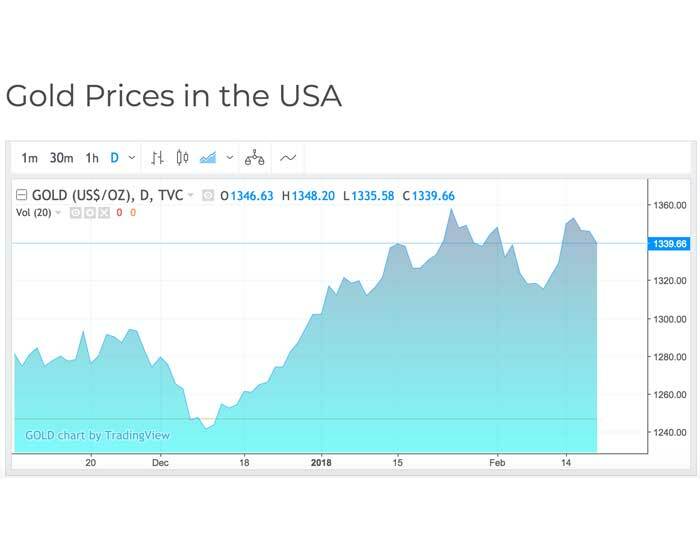 Since the price of gold fluctuates daily, Goldco’s website displays charts with live gold, silver, platinum and palladium prices in the United States. What affects the price of gold? Gold production/mining, central bank reserves instability, interest rates and inflation are just a few factors. To start a Goldco Precious Metals IRA, customers can call Goldco directly or fill out an application online. As with all financial accounts, personally identifiable information such as social security numbers will be required during the establishment of an account. If you do not already have a precious metals custodian company, Goldco will assist you in setting up an account with one of their recommended custodian companies. As part of the setup process, Goldco will either mail or email you a comprehensive guide that explains the precious metals options for you to review before making a decision on what types of metals to place in your IRA. For more guidance on investing in a gold IRA, visit our gold IRA buyers guide. Do my precious metals have to be bars or can they be coins? While some coins can be included in Precious Metals IRAs, only certain coins are IRS approved for inclusion in IRAs. In fact, not all bars or bullion are IRS approved. The IRS maintains a list of acceptable forms of precious metals for IRAs. Goldco deals in a variety of precious metals for IRAs within IRS guidelines. Can I choose any custodian and storage company or do I have to use Goldco’s recommended companies? Yes. While Goldco recommends Self Directed IRA and Equity Institutional as custodian options and Sterling Trust for storage, you can choose your own custodian and storage companies. No. IRS rules forbid keeping your IRA precious metals at home or in a standard safety security box. They must be held by an approved non-bank trustee or a bank within IRS guidelines that restricts access and keeps all precious metals segregated by the customer. This ensures exact metals purchased by a specific customer are returned to that same customer once legal distribution requirements are met. In other words, just like a Traditional IRA, the access to the precious metals in your Precious Metals IRA must be restricted in specific ways to ensure deposit and disbursement laws are followed. No. Like all investments, the future value of the precious metals is not guaranteed and can rise or fall based on a variety of market influences. When will I be eligible for distributions from my Goldco Gold IRA? At age 59 and a half, you or the beneficiary of your Precious Metals IRA can start taking penalty-free distributions from the account, according to the IRS. How long does it take to rollover a Traditional IRA into a Gold IRA? Usually around two weeks, although Goldco stresses each application is different and the amount of time varies on a case-by-case basis. Your retirement portfolio, including IRAs, are what will have to sustain you through many years of retirement and changes to those investments should never be made lightly. Goldco offers many years of experience in both the precious metals market and Precious Metals IRAs. This experience lets them guide investors through important decisions, the rules surrounding Precious Metals IRAs and the investment options available for Precious Metals IRAs. They also work to simplify the paperwork and logistics required in moving physical investments. In fact, this simplification of the logistics in working with a team of companies, the IRA custodian, the metals broker (Goldco themselves), and the IRS approved storage facility, is the feature most mentioned in reviews by customers as the best thing about Goldco.